London Docklands is situated along the East London Waterfront, opposite the world heritage site Greenwich. Boasting an interesting mixture of modernity and history, this former Port of London is now a newly redeveloped, exciting, and diverse area of London. London Docklands places old warehouses and riverside pubs alongside newly developed buildings and landmarks, such as the renowned Canary Wharf, where major banks thrive and tourists gather. With towering sky scrapers and modern buildings, Docklands is popular for both residential and business purposes. With such a mixture of ‘old and new’, this diverse area with original routes offers restaurants and bars with a diverse mixture of cultures, taste and originality. 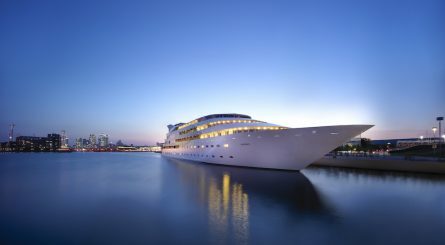 Sunborn London is a luxury yacht hotel moored at Royal Victoria Dock, conveniently located close to ExCeL, with private dining rooms able to accommodate 40 – 200 seated (50 – 250 standing) guests. 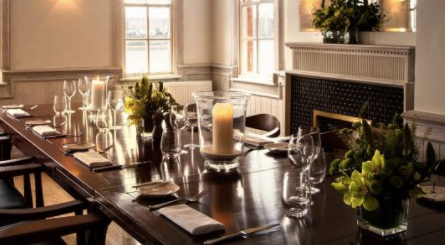 The Gun in London’s Docklands has three rooms available for private dining able to accommodate from 16 to 20 seated guests and up to 25 guests for standing receptions. Exclusive hire also available for up to 130 seated (250 standing) guests. 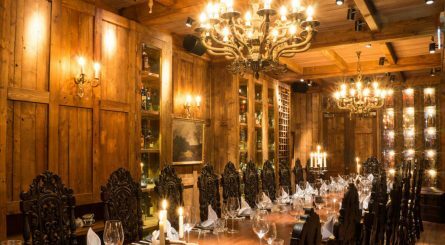 The Narrow by Gordon Ramsay has two private dining rooms seating up to 18 and 35 guests. Restaurant takeover available for up to 70 seated (200 standing) guests. 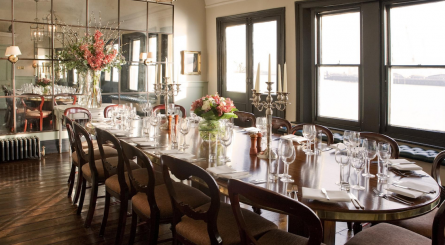 Tom’s Kitchen Canary Wharf has a private dining room seating 6 – 16 and a semi-private room seating up to 24 guests. Also available for standing receptions of up to 50. 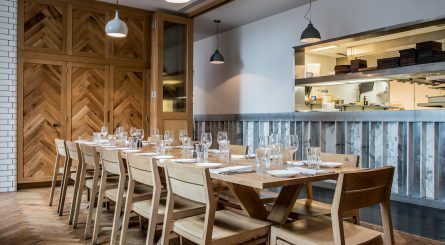 The two private dining rooms at Big Easy Canary Wharf can seat 12 – 26 guests. The Rum Lounge is available to hire for standing receptions of 50 – 100 standing guests. 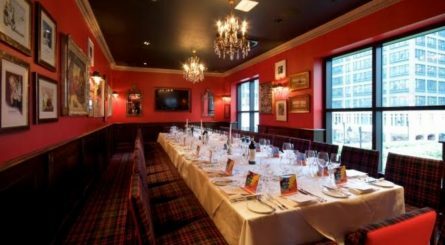 The four private dining rooms at Boisdale of Canary Wharf can accommodate between 10 – 40 seated guests. Venue exclusive hire is also available – subject to availability for dining events of up to 200 guests and standing receptions of up to 500 guests. 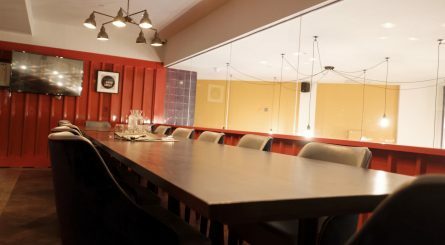 The Container private dining room at The Merchant in Canary Wharf – built to resemble a shipping container, but with bright glass panelled walls – accommodates up to 20 seated guests or up to 30 guests for standing receptions.